Underrated Fantasy Player: Texans Defense. Going into last season, people thought the Texans defense could be a very good fantasy unit. Then Matt Schaub happened. Again. And again. And again. The defense was not nearly as bad as the numbers looked after you took away the Pick 6’s and short fields that the offense left them with. When you add that dreadlocked maniac in the GIF above to a defense with JJ Watt and the returning Brian Cushing, you have a chance to get a very good defense that plays an easy schedule and should come cheap. Overrated Fantasy Player: Arian Foster. Foster was the best fantasy running back in football for a little while, but those days are over. Gone are Gary Kubiak and his zone blocking scheme. Foster is also coming off of back surgery and said that he contemplated retirement this summer. Read that sentence again and punch yourself in the face for putting Foster as high as you did on your rankings sheet. Bottom Line: The Texans are in a weird place, as they went from Super Bowl contender to the worst team in football. Adding some quality players in the draft, including number 1 pick Jadeveon Clowney, should hypothetically make them legit contenders again. But there are enough unknowns from all the changes to leave me skeptical of a quick bounce back. I have no idea what to expect from the new coaching regime and I would rather bet my life savings on a game of roulette than put money on Ryan Fitzpatrick. I am going under 7.5. Underrated Fantasy Player: T.Y. Hilton. He isn’t big, but he is fast as hell. Due to his physical limitations, he may disappear some weeks, which makes it tough to rely on him as a WR2. But Hilton and Luck have shown some great chemistry in their two years together and considering the state of the other options at wide receiver on this team, he is your best bet to lead the team in fantasy points. Overrated Fantasy Player: Reggie Wayne. Wayne surprised people by looking spry early in 2013 before tearing his ACL against Denver in the Return of Peyton game. One of the points I hope these previews leave you with is how rare it is for a player to perform at even 85% of his previous level than a year after a torn ACL. Add in that Reggie’s social security number is 15 and you can see why I am so concerned. I can’t believe he is being drafted at all in shallow leagues. Let someone else make the mistake of drafting Wayne, who I think will be at best their 4th most productive fantasy receiver this season. Bottom Line: Andrew Luck is an absolute stud, but the rest of the team has real question marks. The offensive line was poor last year and doesn’t seem like it will improve this season. Robert Mathis was a beast in 2013, but he is only getting older and is suspended the first 4 games of the season. The defense was schizophrenic with Mathis and hasn’t done a whole lot to get better. Finally, calling the running back stable anything better than questionable is a real stretch. I am not sure if Chuck Pagano is a good coach or just the coach that was blessed to have Andrew Luck as his quarterback. But even after all of that has been said, I am still taking the Colts over 9.5 just because Luck can make bad teams look good in a weak division. And if you want to get sassy, take the Colts at 20/1 to win the Super Bowl. How many teams in the AFC have a QB like Luck? That is Degenerate Gambling 101, folks. Underrated Fantasy Player: Cecil Shorts. Shorts was actually putting together his second productive season until a hernia and typical bad quarterback play caught up with him. Shorts is healthy and the veteran playmaker in the receiving corps. If Blake Bortles plays nearly as good as he has looked in preseason, Shorts could be in for a big year. Overrated Fantasy Player: Marcedes Lewis. This isn’t as much about Lewis being overrated in drafts. This is about when your tight end gets injured or has his bye. I cannot stress this enough. Don’t touch Marcedes Lewis in free agency. Don’t even look at him. Bottom Line: The Jags have been a running joke in the league for a while now, but I think this is the year the laughing stops. Gus Bradley brings a system predicated on defense and running the ball. Blake Bortles has looked somewhere between 200% and 500% better than I thought he would. Toby Gerhart has a chance to be the white (and slower) Michael Turner. And the whole team showed improvement as last year went along. 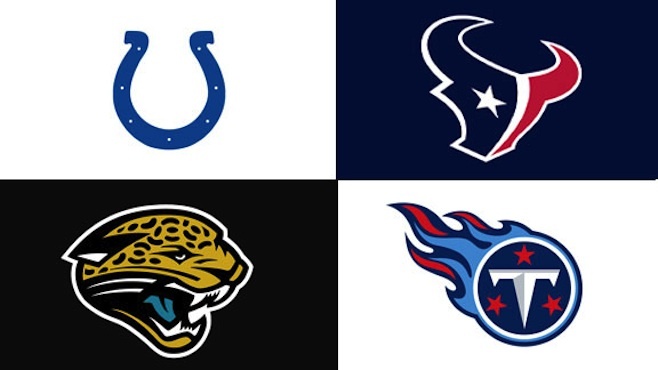 Being in a division with a lot of question marks should help Jacksonville get better quickly. And the parity rules of the NFL always helps teams improve their win totals faster than other sports. Give me Jaguars over 5 and I love it. Underrated Fantasy Player: Shonn Greene. I will wait for you to clean the vomit off of your monitor after reading that name. Now hear me out. Shonn Greene is a starting running back that plays behind one of the best blocking offensive lines in the league. Bishop Sankey has done nothing to wrestle the job away from Greene and Ken Whisenhunt revitalized Ryan Mathews career in San Diego last season. Greene will not cost you much at all, but I think he is worth a very late flier simply due to his line and the amount of carries (including goal line) that he will get. Overrated Fantasy Player: Bishop Sankey. Everyone loves rookie running backs that seemingly come out of nowhere. They appear faster than everyone else (probably because they haven’t been getting their asses kicked by the physical freaks in the NFL) and are invaluable in keeper leagues. I am not saying that Sankey is going to be a bad pro. I just think that the Titans running him with the 2nd and 3rd units due to fumbling and blocking issues is a HUGE red flag. Pass on Sankey this season and hope you can buy low on him next year when he is up to snuff in the NFL. Bottom Line: Blah. That’s the one word I would use to describe watching the Titans. Every time they appear on the Red Zone channel, we all mentally tune out and/or check our fantasy teams on our phones. I do think that Ken Whisenhunt is a very good coach and can make this team good and interesting after a few years of rebuilding. But I don’t know if Jake Locker is his answer at quarterback. And if Whisenhunt doesn’t have a good quarterback, you have the Cardinals teams of 2011 and 2012. These are the teams that set the quarterback position back 200 years. So yeah, I’m passing on the Titans this year. Under 7.